Sure, it has been a while. But you miss everyone, right? RIGHT!? Aug 13, Sep 10, Oct 8, Nov 12, and Dec 10. The Aug 13 event will be at the Golden Road Brewery in Glendale and the Sep event at Jerry’s Deli in Marina del Rey. Come visit all your friendly geeks down at the LA Brewing Company on Tuesday March 26th. Any beer geeks want to give us a lesson on how the nectar is made? Details here. The next LA Geek dinner will be on Wednesday Jan. 16th at 7pm at the classic HMS Bounty. Dress like a pirate, or a sailor, or a mermaid and you might just get a free drink! 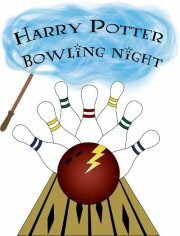 The g33k d1nner for November is hooking up with the LA corps of Dumbledore’s Army for a night of bowling. So pull out that red and gold scarf, find your ‘wand’, and head down to Castle Torrance on Saturday 11/3. After a bit of hiatus, the Geek Dinner is coming back. This edition will bring us back to the Brewery to eat and enjoy some of their amazing rotating summer brews. Come on out and catch up, have a beer and chat with your favorite geeks Monday night at 7pm. And you geeks (entreprenurs, programmers, webbies, film freaks, and other assorted contractions and aptly named sorted variables) know all about what it’s like to be a character. So come on out and join a few of us while we exchange ideas and conversations over a bevvy of rotating taps, tasty specials (vegan friendly even too) on Monday, April 30th. This lineup is bound to be interesting. Especially if YOU show up. Where: 620 Moulton Ave. #110 Los Angeles CA 90031. It can be a *little* confusing. Go in the big scary gates, find the large parking lot, ask someone to point out Barbara’s. Trust me, you’ll be fine. Cheers and all good things! It’s been a while. You miss it. You should go back. I mean to *both* a geek dinner *and* the Red Lion in Silverlake. Because that fabulous location is where the March dinner will be. And if you are under 21, no problem! You are welcome to attend. when: Saturday 3/31. 5pm until ??? Coming soon to a February new you! After you’ve eaten all your candy hearts and chocolates, come on out for some good cheer with your favorite geek or three at the February edition of the G33k D1nner 2.0. This month we are bringing the G33k back to one of it’s original old haunts Canter’s Deli. You know you love it. It’s that place where you can sit and see everyone in LA if you stay long enough. Open 24 hrs. Huge menu. And booze? Oh yeah that’ll be there too. Last month’s dinner featured geeks from all kinds of walks of life including programmers, hosting aficionados, journalists, start up cats, and much more. What kind of geeks will be at this event? Here’s hoping… it’s YOU. The “G33k d1nner” is a monthly gathering for geeks (dorks and nerds too) where we gather to connect and reconnect. We talk about our passions over bread and beer. Anyone is welcome to attend – as long as you are genuinely passionate about technology. The “g33k d1nner” is *not* a traditional networking event focused on dog& pony shows, rather it aims to cultivate social and professional relationships and the interchange of ideas. Thanks to everyone who made it out last night. Good beer, good food, and GREAT people made this event a huge success to me and I hope you all feel the same. And to those who couldn’t, we’ll be having another dinner in a few short weeks. TOMORROW. TUESDAY. January 31st 2012. LA Geek Dinner at the Golden Road Brewery (where the 5 and 134 meet). Cya!